Actors go through low phases and highs too. Their careers are like Tides, while they can go huge and high, they also come very harshly low too. 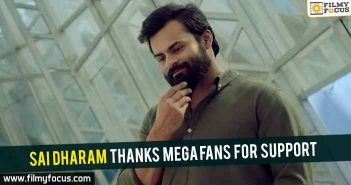 Sai Dharam Tej is currently in a low phase and all the success, he enjoyed till Supreme can no longer save him. 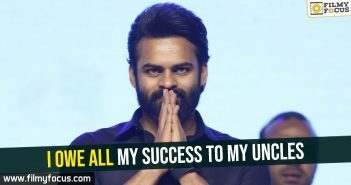 Way too many movies have come from him in current day market trends and all of them failed. 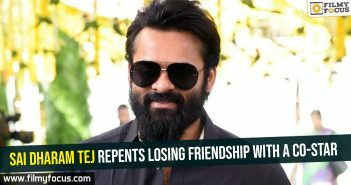 Now, he has Chitralahari in his kitty and he wants to make it a good comeback vehicle for him. To reduce his weight and also take proper weight training from experts, he went to USA, by the end of last month and decided to stay there till the end of this month to complete the course and make it a regular habit. He is currently sweeting it out to burn the extra calories and will return by last week it seems. 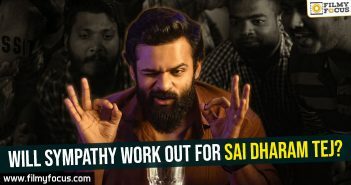 From September first week, he is expected to join the shoot of Chitralahari in the direction of Kishore Tirumala. Two theories are prevailing about the title of the movie. One is that it is about a Bar and Restaurant owner and his family. 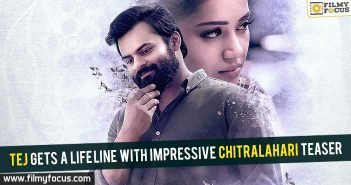 Other one is that there are two heroines in the film, by the name, Chitra and Lahari. Well, the buzz also states that Nivetha Thomas will appear as one of the heroines in the film. Let’s wait for movie team to officially announce the details.